The annual E3 conference is like Disneyland for gamers, who have the opportunity to see and play newly launched games and devices. As an investor in gaming, it’s also an exciting event for me to observe the latest buzz and emerging trends in gaming. This year’s E3 event didn’t disappoint, with showcases from the much anticipated Oculus Rift to new content models in gaming to new game releases such as Telltale’s Game of Thrones and Tales From the Borderlands. So what did this year’s E3 reveal about the future of gaming? Here’s my take on the six defining trends to keep an eye on. Virtual Reality was huge at E3 this year. Sony’s new virtual reality headset, Project Morpheus, was very popular. Attendees had the chance to try the headset through a ticket reservation system, which filled up on the first day for the remainder of the conference. Similarly, the Oculus Rift drew permanently long lines. The Virtuix Omni takes virtual reality beyond the headset with a stationary 360-degree treadmill-like surface for a fully immersive gaming experience. Demos were open only to select press/VIPs. I was extremely impressed overall. I wore the Oculus Rift while playing Alien Isolation, a first-person survival horror game that has players stuck on a dark spaceship with only a flashlight and motion detector while trying to evade a hungry alien. It was an absolutely terrifying experience. Within two minutes of tiptoeing around the ship, I heard a drooling, rasping sound, and then a screech as the alien jumped on the side of my face. The game felt so real that I screamed and leapt out of my chair. I was impressed by the accuracy of the headtracking and the lack of any discernable latency or judder artifacts. The experience fully put to rest any doubts that I had about virtual reality’s importance in the future of gaming. It will be quite interesting to see how the development of the VR ecosystem compares to other major UI platform shifts before it. While I, too, am excited about the future of VR, I believe we are still a few years away from commercial viability. The issues that plagued the early attempts in the late 1990’s still persist: dizzying effects, high bill of materials (BOM), and large head-mounted form-factors. Now that Facebook owns Oculus VR, they will likely invest the time and resources to improve the device and lead the market and be as popular as the Xbox Kinect. Asymmetric gameplay is an exciting emerging category. Two notable games at E3 included Evolve and Fable Legends. Both games involve five players: four must coordinate each of their complementary abilities to defeat one player who is more powerful than the four others combined. In Evolve, the team of four include an assaulter, hunter, support and medic who must track down a large monster, controlled by the fifth player. The team’s objective is to kill the monster, while the monster’s objective is to eat prey around the map (in order to evolve and become stronger) and pick off team members. Similarly, in Fable Legends, there are four characters with complementary abilities and an omniscient dungeon master/god who controls the environment and the behavior of the minions. The goal for the party of four is to survive the dungeon and get to the end point while the dungeon master is trying to kill off the entire party. It’s great to see triple A titles like Evolve, Fable Legends, or the recently released Watch Dogs take the risk on pushing relatively niche, innovative gameplay mechanics into the mainstream. There are certainly likely to be challenges here around both game balance and the matchmaking system, but reasonable levels of console/PC success could push others to experiment more broadly with this multiplayer game mechanic. As an investor, I’m always watching for economic game-changers in the gaming industry, i.e., how companies can shift the economics of distribution, production, and engagement to create a sustainable competitive advantage. Disney Infinity 2.0, Project Spark, Little Big Planet 3, and Mario Maker — with their robust level editors integrated into the core gaming loop — are all examples of economic game-changers. The games are built such that the players generate content and drive a self-sustaining platform. I’m looking forward to seeing deeper integration of UGC and continued growth of content marketplaces. Procedural content generation (PCG) is another area in which technological advances can radically change the economics of game production. In most games, art assets, levels, storylines, and worlds are created manually. With procedural content generation, game content is created algorithmically. These techniques were used in early pioneering video games like The Sentinel, Elite, and Rogue, to overcome memory constraints and other hardware limitations in delivering game experiences that would otherwise not be possible at the time. With the drastically increased power of today’s gaming platforms, the importance of PCG in delivering high-quality gaming experiences has decreased, although modern games like Diablo 2, Minecraft, and Left4Dead have used PCG successfully to various extents. No Man’s Sky, an upcoming release from Hello Games, was one of the major winners of the show for their breathtaking demonstration of PCG. The game is a multiplayer, open-world game that procedurally generates all game assets and corresponding worlds as players move from planet to planet in an expansive universe. The visual quality is triple-A. Its success here, and the potential diffusion of tools and technologies similar to those used to build it, could dramatically narrow the gap between indie studios and large studio/publishers, and perhaps change the power dynamics accordingly, as well. Smart devices are not just in the phone and wearable markets — gaming consoles and software have gotten smarter. 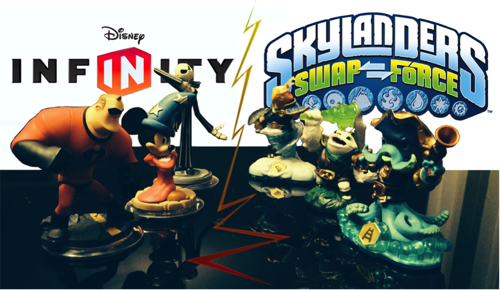 Activision’s Skylanders and Disney’s Infinity are games that ship with console software, a dock that plugs into the console, and a smart toy that spawns the toy’s character into the game when inserted in the dock. Skylanders’ “villain trapping” dock and gameplay feature add fun and complexity to the game. The Infinity gameplay feature widens the game’s appeal to adult audiences. More competition is necessary to unearth greater innovation, such as increased sophistication in gaming mechanics. Games with distributed control mechanics prompt different players to push buttons or slide switches on their phones. As the game increases in complexity, distributed control gets pretty hectic, with multiple players shouting at each other to coordinate. Two games execute brilliantly on distributed control: Fru and Lovers in a Dangerous Spacetime. Fru is a puzzle platformer that uses the Kinect. You and a friend have to move your characters to the door, but the platforms to get there don’t exist unless you and your friend contort your body (and silhouettes) to reveal them. Lovers in a Dangerous Spacetime puts you and a friend on a spaceship that needs to navigate through asteroids, dangerous enemies, and bosses to rescue imprisoned bunnies. The only issue is the spaceship has too many controls, and you need to make a choice at all times between steering the ship, using the cannon, activating the shield, or launching missiles. IP-licensed games are bigger than ever, thanks largely to the willing collaboration of IP owners. IDG’s gaming portfolio companies — Telltale Games, Next Games, Plain Vanilla, FreshPlanet — have leveraged licensed IP in their games to great success. The most popular IP in the market today are the top TV shows (e.g., Walking Dead, Game of Thrones), Marvel Movies, and top grossing movies from the past five years (e.g., The Hobbit). One of our gaming investment strategies at IDG is targeting companies who have secured great IP or who have the ability to do so. I believe “hit IP” minimizes risk and shifts the marketing costs to the back-end in the form of royalty payments. A new and interesting alternative to licensed IP was Crytek’s use of historical and mythological characters in their new MOBA, Arena of Fate, to get some of the distribution advantage of IP without the complexity and cost of licensing. This opens up some great opportunities for gaming entrepreneurs. In short, the future — as always — is looking bright for the gaming industry. I’m thrilled by the continued innovation and entrepreneurship in this space. That’s why I remain bullish on this market. 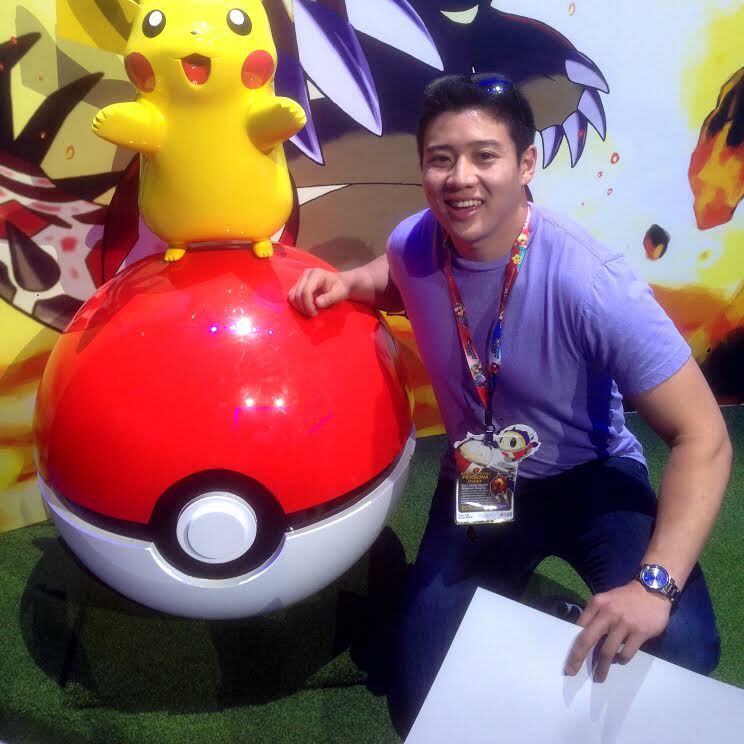 Special thanks to IDG associate and gamer Tyler He for his contribution.